Display finder to category page by just choosing category from admin. Display finders on any page using predefined code. Add multiple finders on same page. 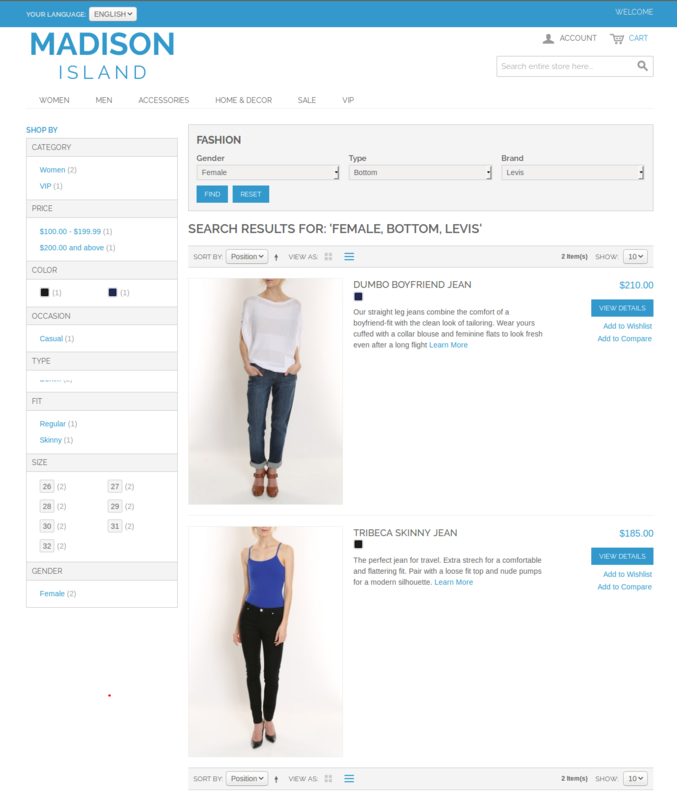 Display list of products with Layered Navigation. Manage search drop downs positions and values sort order. Option for start search after last dropdown is selected and also searches on find button. 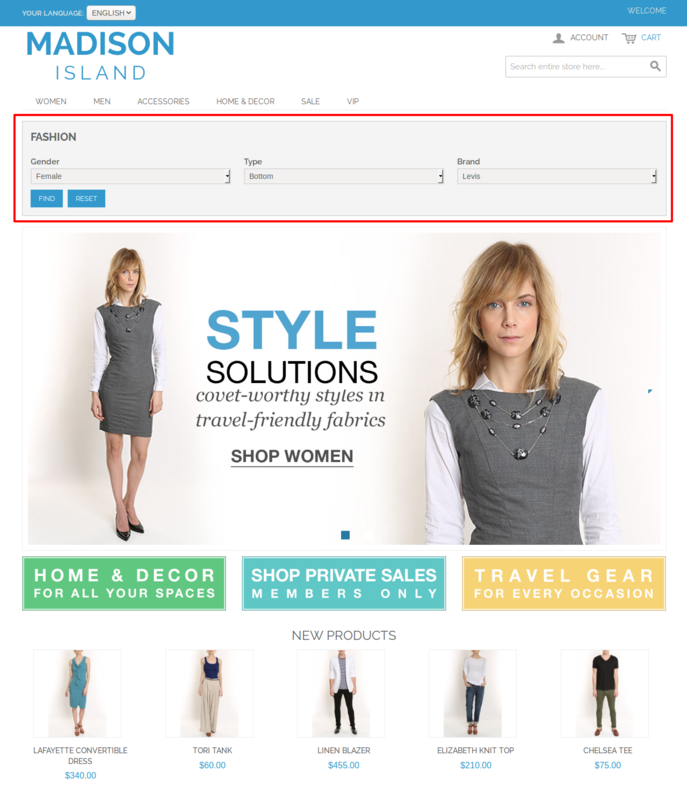 Want your customers to find products quickly from a large database? This is the extension for you! 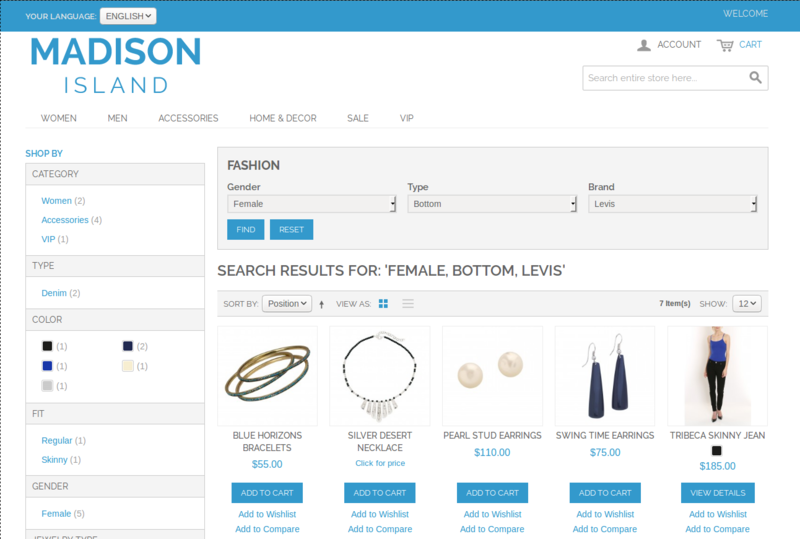 Install Magento Product Parts Finder and create drop-down filters to suit the nature of your e-commerce website. 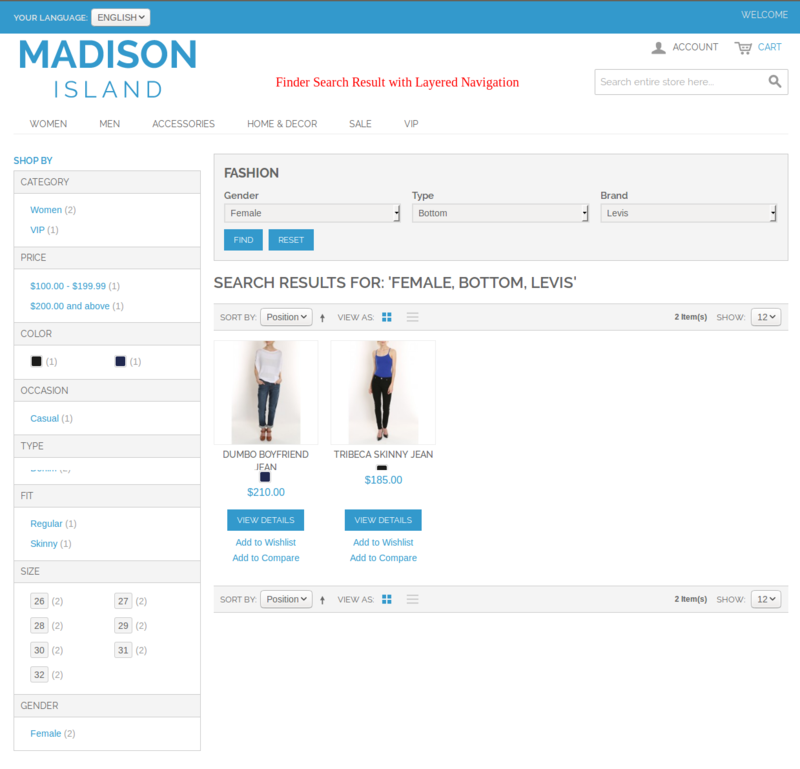 The Magento module offers a quick and unique way of filtering products on the basis of key features such as year, make and model. Many products such as automobile accessories, printer parts, computer parts, etc. have standard characteristics. And, customers often focus on these specific features to search the product. For example, when it comes to printer parts, no one really cares about the color of the print-head. Customers consider whether the product is original or replacement. They want to know whether the product is compatible with their printer. 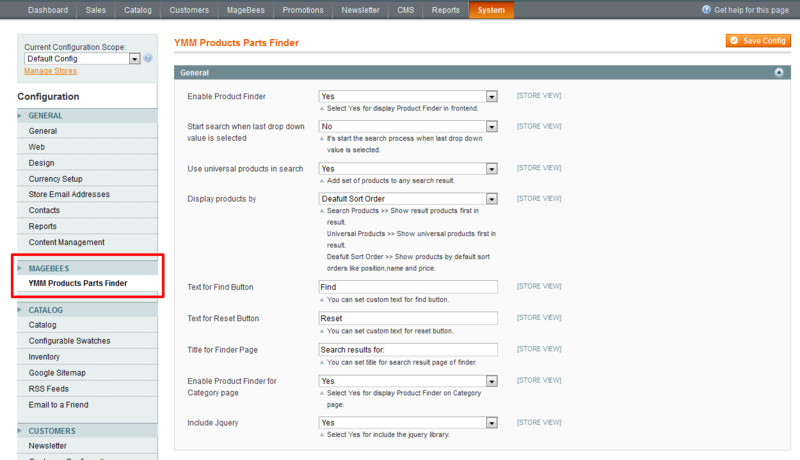 You can install Magento Product Parts Finder and customize the fields so that customers get what they want! Our module is amongst the best extensions that promise better navigation. Install it for better customer experience and more sales! Where to use The Extension? Use our parts finder extension into Vehicle ( Bike / Cars / Boats ) Parts Store. You can create search drop-downs like Year , Make , Model , Sub Model / Engine etc... as per your requirements. You can also use into cartridge store. You can create search drop-downs like Printer Brand, Printer Family , Printer Model for searching exact products. Use our extension for tires and wheels store. You can create search drop-downs like Year, Make, Model, Style for searching exact tires products. If you want to setup finder based on category then you can select category so finder will display products based on category. If you have products which you want to display in search result irrespective of filter search then you can add universal products and it will show up in every search result of finder. The extension we needed and working great. We asked for a couple of changes so it would fit our requirements fully. The staff replied almost instantly and changed the code quickly to fit out needs. Amazing service!! Thank you very much! An great tool with amazing support! Works like a charm! Awesome Extension, Easy to setup and use. The augmentation does precisely what I required and works extraordinary. On account of the Magebees group for making them work rapidly furthermore a few changes I required done and noting questions that I had about usefulness. Much obliged once more! Best YMM/Product Finder Extension around!!! 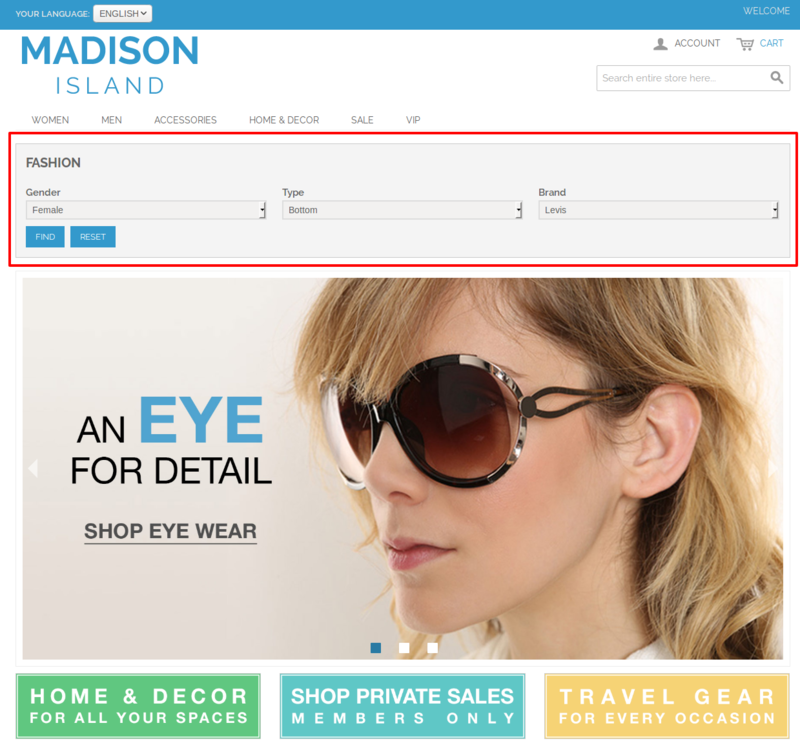 This is a great filter for having a Year, Make, Model search with Magento. Installation was easy by just following the installation guide. This extension is very well written to allow filtering product parts. Remember your search untill reset. Bug fixes for special character in search value. Q-1: I have installed Product Finder Extension. But When I click on YMM Products Part Finder tab in the config page will get a 404. :(. Ans : After installing Product Finder Extension. Please Logout from admin account and Re-login and Refresh Cache. Ans : Please check product finder category and its products category. If product category and finder category are not same then finder will be not display on category page..
Q-3: I have installed Product Finder Extension. But When I click on Product Finder tab then will get database table error. Go to Your store database. Then Please check Product Finder database table exits or not. If you not found above database table then please follow below step. Click on “core_resource” table and found “ finder_setup” entry. Please remove “finder_setup” entry then please reinstall product finder extensions. Q-4: I applied the 6788 patch on my magento setup, a finder block doesn’t show up on home page or any cms page. Now product finder block has permission to display.